Are you looking for a great value break for your Active Retirement Group/Over 55’s Club/Bridge Club, ICA Group etc? If you wish to book quality accommodation at an affordable rate, perhaps organise a day trip, organise evening entertainment, or get some advice and ideas, then look no further than Golden Ireland for help in planning your next trip away. We can tailor short trips and holidays to meet a group's specific needs and budget. Save yourself time, money and hassle with Golden Ireland. This will save you time, effort and deliver value for money for you and your group. Golden Ireland has been in business since 2009, and we have worked with some of the best hotels and tourism providers in the country. We have a wealth of knowldge on quality three and four star hotels that offer the most competitive over 55s rates, as well as expertise on great places to visit. We are fully committed to making your next trip a great success. We will put together the best tailor made package, at the best rate, to suit the requirements of your group. - The first step is to decide which county or region you wish to visit. If you're not sure, we can offer advice or suggestions. - Next, decide on your dates. If you have a few options in mind, that's no problem, we can check availability for you. - The next step is to contact Golden Ireland. Tel: Geraldine McGlynn, (064) 663 6765 or (086) 677 2174, or complete our Enquiry Form below. 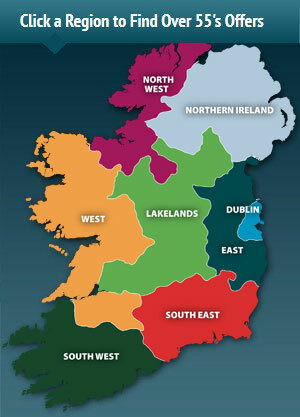 - Golden Ireland will get back to you within 48 hours, with a FREE No Obligation Quote for your group. Minimum numbers required to make a booking: 12. "St Pappins Ladies Club have just returned from a fantastic 5 day break in the Westport Woods Hotel, Co. Mayo. We would highly recommend it to any group booking a break away. The food was excellent, as were the staff - from the moment we arrived they could not do enough for us . They went above and beyond to help us have an amazing time. Special Thanks to Golden Ireland for the recommendation and making this so easy for us - we will certainty go with with them again." Ms Deirdre Mulready. St Pappins Ladies Club, Dublin 11, September 2017.